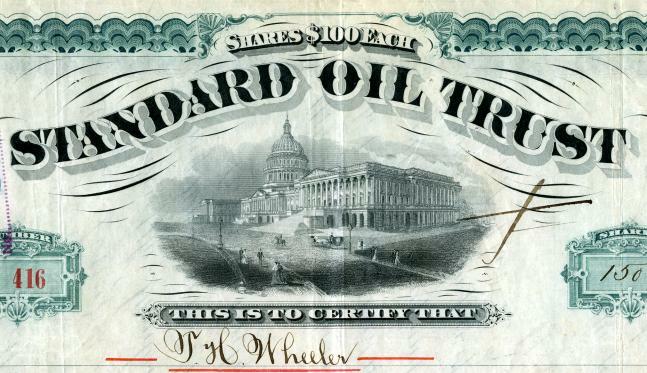 Beautiful stock certificate #416 from the Standard Oil Trust issued in 1882. This historic document was issued by Franklin Bank Note Company and has an ornate border around it with a vignette of the United States Capitol in the early nineteenth century. This certificate was handsigned by John. D. Rockefeller, Henry Flagler and Jabez Abel Bostwick and is over 130 years old. 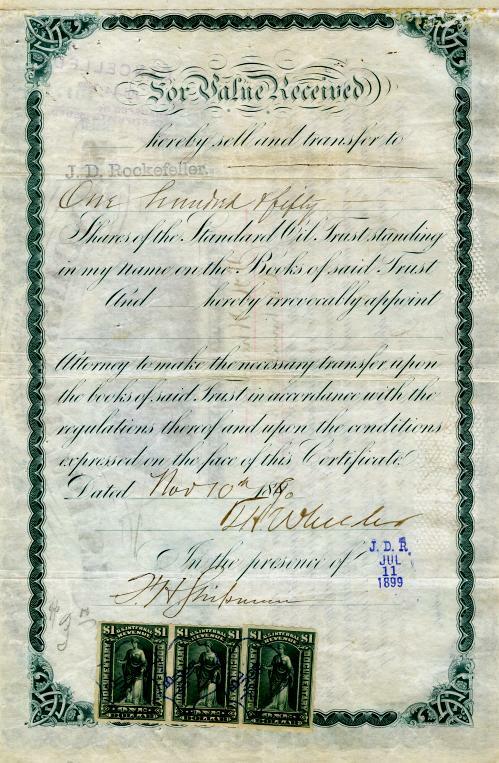 The certificate was issued to T. H. Wheeler and endorsed by him on the back. Pressed cancelled.